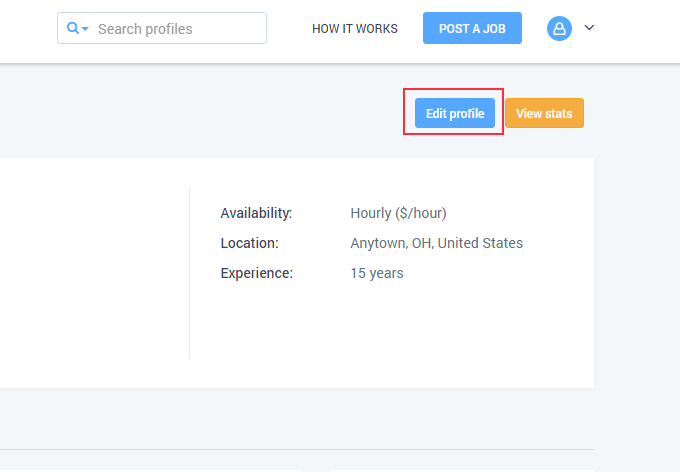 While in the process of creating a freelancer profile you’ll get to add your resume, however, if you already have a freelancer profile and you weren’t able to attach a resume you can simply edit your freelancer profile and add a resume to it. 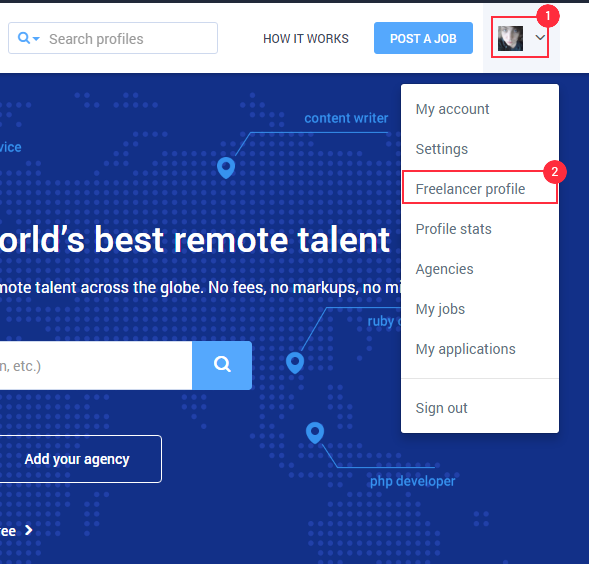 The first you need to do is access your freelancer profile by clicking on your avatar picture in the upper-right hand corner. 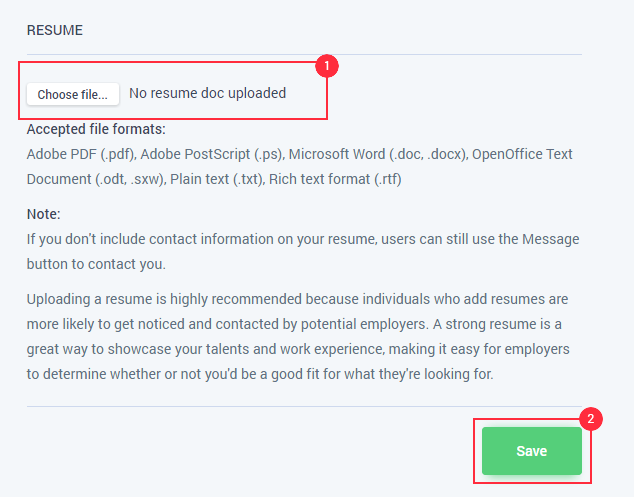 Next, navigate to the “Resume” section towards the bottom of the page, click the “Choose file” button then select your resume. Make sure your profile is updated by clicking the “Save” button. 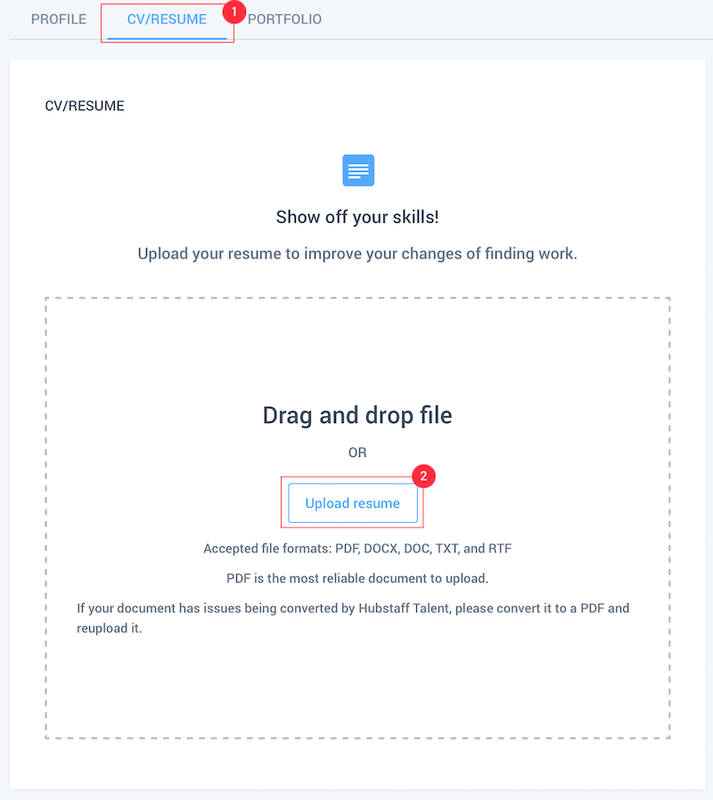 You can also click on the CV/RESUME tab, then on the Upload resume button.